DJ's is now closed on Wednesdays -- We are diving. 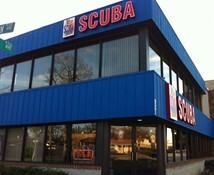 DJ’s Scuba Locker, Inc. was established in 1995. We are a 5 Star SDI/TDI Professional Development Center and are a full-service PADI Dive Center and an ERDI training facility conducting certification classes geared for the Public Safety Diver. We have 3 SDI/ERDI Instructors on Staff as well as an SDI/ERDI Instructor Trainer, who can take you from Open Water through Instructor Training. We are also teaching SDI Scubility Classes on a regular basis. 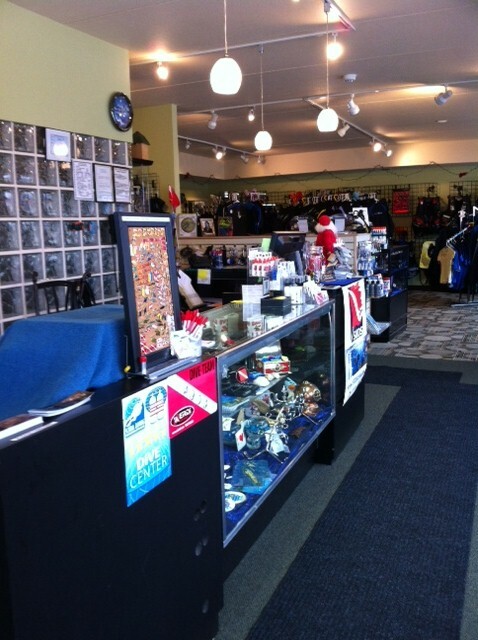 In December 2012, DJ’s expanded into a new facility located in Brookfield. 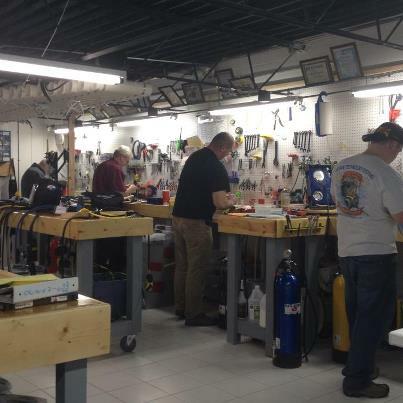 We now have 4 classrooms, a large technical service center, drysuit repair center and O2 clean room. We are also located on the corner of Ogden and Madison avenue in a more visible location. Please stop by and check out our new location in Brookfield. In 2016 DJ's became the Only Midwest Service Center for Interspiro. 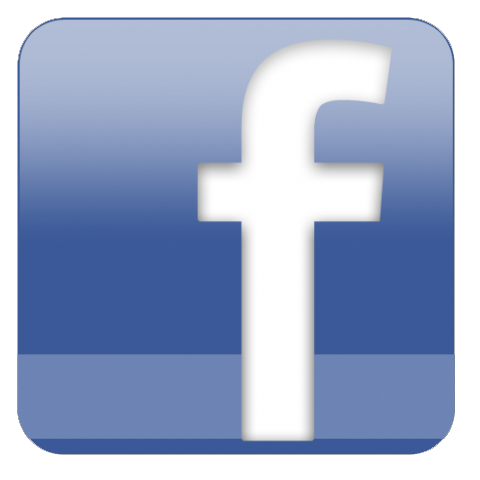 We repair in-house the Surface Supplied Air Systems sold exclusively by Interspiro. 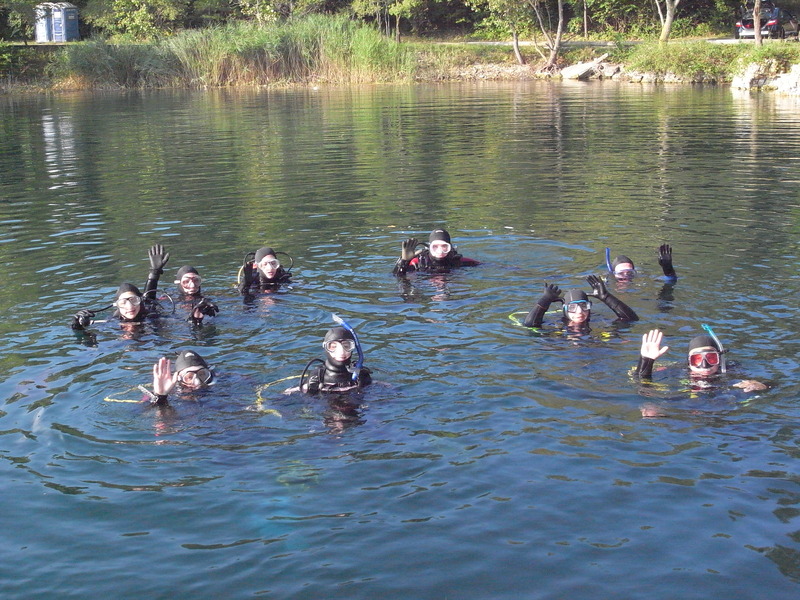 DJ’s continues to expand their training and staff offering more classes such as ERDI Supervisor, Contaminated Water Diving, Line Tender, Swift Water, Surface Ice, along with ERD Full Face and Dry Suit Diving, Ice Diving and more. New this year DJs is offering Heavy Salvage Seminar -- Call for more informatoin. In January 2012, DJ’s partnered with the Romeoville Fire Academy to instruct all of the Academy’s subsurface classes through ERDI. We are excited to be affiliated with such a prestigious Facility and we look forward to working together to develop more classes in the near future. ase contact DJ’s Scuba Locker at 708-442-4388 or email. Located in Brookfield, Illinois, DJ’s is owned by Dan and Cindy Howard. DJ’s carries Aqualung, Mares, Oceanic, Sherwood, Dive Rite, Tusa, Henderson, Zeagle, Akona , Fourth Element, and Aqualung Drysuits & the new Osprey Swift Water Suit. In 2014 DJ's became a Test Center for Fourth Element Arctic Drysuit Underwear. You can actually try it before you buy it. 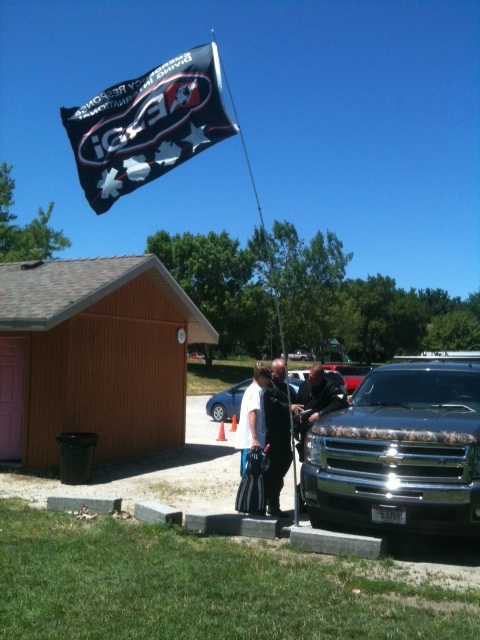 We will have demo days monthly at Haigh Quarry in Kankakee. Call to reserve your suit size today! Diving Instruction. Our New Public Safety Division has the capability of training your Fire, Police and specialty Task forces in Public Safety Diving. DJ's maintains a compressor on-site and performs visual inspections using the Visual Plus System. DJ's also services a full line of regulators and bcds with fast turnaround time. All service is completed at DJs. We bank 36% Nitrox. Other mixes are available upon request (2-day fill time is needed). DJ Scuba Locker services the full-face AGA and Guardian masks in-house -- Fast Turnaround! DJ’s is also a repair center for Communication Ropes (Com Ropes) and also troubleshoots the surface station. 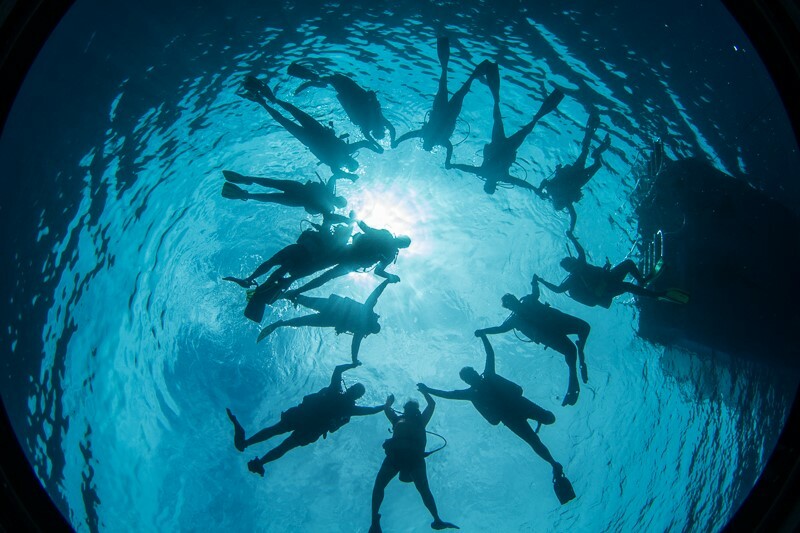 You will find friendly, professional staff that is committed to maintaining our reputation of superior training, personalized service, and a very friendly atmosphere which is designed to keep our divers diving. DJ’s also schedules and runs Dive vacations to different international and local dive destinations. From start to finish, we take care of everything. All you need to do is sit back and relax and enjoy your diving vacation. 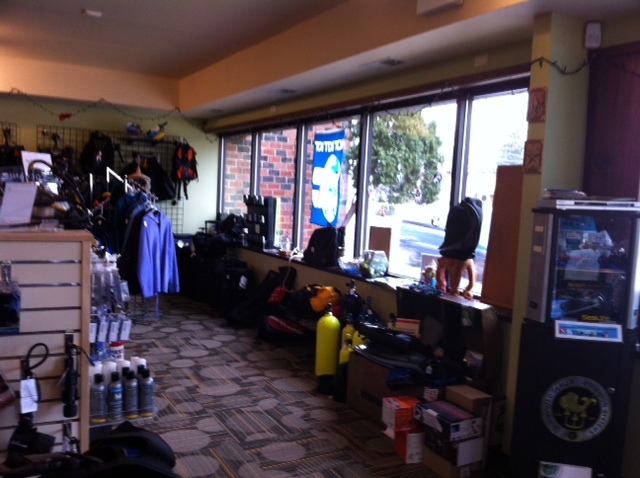 Stop by to see the “Dive Store with Stuff”! Ask to be added to the Constant Contact newsletter!